Udon Entertainment has announced a follow up to their previous Art of Capcom art book. Entitled Art of Capcom 2, the new book contains more of Udon's Capcom art from the more recent games, comics, etc. Why should you, the Mega Man fan care? 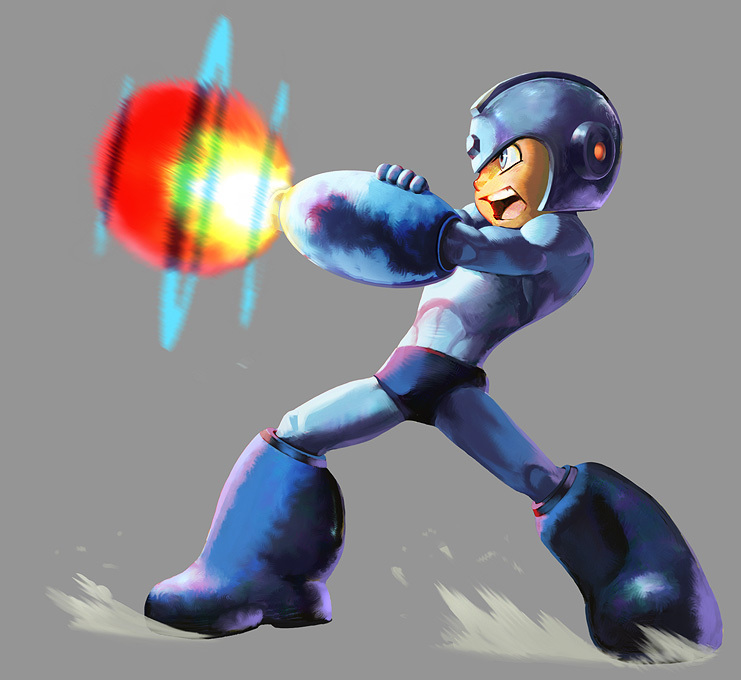 Well according to our pal Matt Moylan, the book does contain some Mega Man-related art from Tatsunoko Vs. Capcom and Marvel Vs. Capcom 2. This includes promo art, character endings, sketches, etc. The book will make its debut later this month at Comic Con where you can buy an exclusive hardcover version at Udon's booth. A soft cover version will follow suit, retailing everywhere in August. Head on over to Udon's official blog for some scans and more details. Thanks, Matt! You think they would try more on the title. I didn't know that ugly Mega Man picture was Udon's! Uh... yay? @anonymous: Honestly, it's not the style we would have chosen either, and we even suggested to got for a more anime look. But this is was Capcom wanted. It reminds me of the old version of Megaman two box art for the game boy, only more updated.